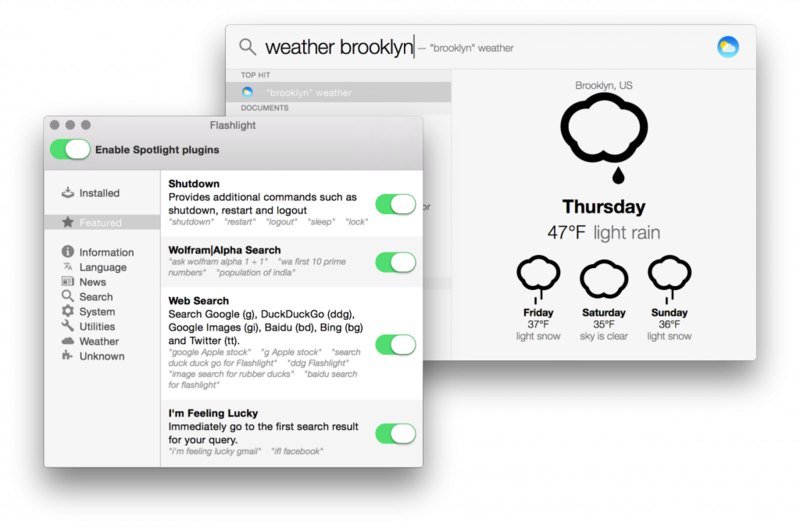 Flashlight is a plugin system for Yosemite's (newly improved) Spotlight. It already supports weather, Wolfram|Alpha, terminal commands, and much more. Plugins are written in Python, so it should be pretty easy to hop in and code up your own!